The term African American was advanced in the 1980s, but today it might be perceived as carrying a self-conscious political correctness. In informal speech and writing, black is often preferred. Perhaps because I attended college in the 80s, I feel that African American is more respectful—but the 10% percent of blacks who are first- and second-generation immigrants may not consider themselves African American. There is significant history behind each name describing the black community, but when my exceptionally gifted African American son was young, I used the term brown. After all, he had never met a person with black skin, but was surrounded by people with various shades of brown. When I want to put a white person (none of whom look white) at ease discussing racial topics, I sometimes joke about our various names—just don’t call me late for dinner. But the question of what name we should use underscores an important concern: the power of belonging. Frank C. Worrell and Dante D. Dixson report that after twenty years of study, the achievement and excellence gap between Blacks/Latinx and Whites/Asians is still not fully understood (Worrell & Dixson, 2018). Even when they are selected, Blacks, Latinx and students from low-income households must make an affirmative choice to participate in gifted programs where few students look like them, a problem not experienced by whites and Asian American students. (Worrell & Dixson, 2018; Erwin & Worrell, 2012). In their article, “Recruiting and Retaining Underrepresented Gifted Students,” Worrell and Dixson touch upon the importance of creating a school environment where the underrepresented feel like they belong. (Worrell & Dixson, 2018). Worrell and Dixson recommend recruiting underrepresented students in groups rather than as individuals. (Worrell & Dixson, 2018). Dr. Edray Goins, one of about a dozen tenured black mathematicians among nearly 2,000 tenured faculty members in the nation’s top 50 math departments, recently quit his position at Perdue because of the loneliness of being black in a profession marked by extraordinary racial imbalance. (Harmon, 2019). Goins, who has been the only black in the mathematics department at most of the universities he has attended and worked, wrote in a blog post: “To say that I feel isolated, is an understatement.” (Goins, 2017). Goins is an example of gifted talent lost due to the weight of not belonging. Gifted black students can experience feelings of isolation when their white and Asian American friends are unable to relate to how they feel after experiencing the unavoidable ignorance or bigotry from a peer, often unintended micro-aggression from a teacher, and sad news of yet another black male killed. 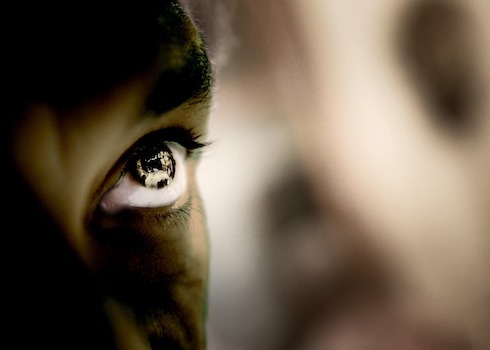 Even attending school with students raised to purportedly be colorblind can be a double-edged sword when you are called a reverse racist for describing “white privilege”—a phrase coined in the late 80’s by Peggy McIntosh, a white professor at Wellesley College who also described “male privilege,” and “heterosexual privilege.” (Rothman, 2014). With no gifted peers who can relate to the depth of sadness over micro-aggressions, being the only one has at times created a profound sense of loneliness in my son. The good news is that culturally relevant teaching and appropriate teacher training can increase the engagement and motivation of underrepresented gifted students; Underrepresented individuals are more likely to join and remain in gifted programs in which they see themselves. (Worrell & Dixson, 2018). At The Grayson School (for gifted youth), my son’s English, social studies and music teachers have put together and presented rigorous and robust culturally relevant curriculums throughout the year (not just for Black History Month). When my son discusses what he has learned in these classes, he is excited and passionate. My son appreciates that his projects teacher regularly discusses famous women, which has included African Americans. This year’s school production is the Lion King which takes place in Africa. Culturally relevant material embedded into the curriculum creates a strong sense of belonging. (Worrell & Dixson, 2018). But it will backfire if you try to motivate underrepresented gifted students with cultural superficiality. Once, a substitute teacher played a podcast indicating that African Americans and girls suffer from stereotype threat (performing poorly on standardized tests due to test anxiety arising from negative stereotypes). There was no follow-up discussion, even after the sole female student complained about her discomfort in listening to this podcast. My exceptionally gifted son, the only African American in the class, decided to listen to the second half of the podcast at home. He discovered that the main point of the podcast was in the second half (which had not been played for the class): There had been a replication-crises calling the concept of stereotype threat into question. Former researchers concede that while stereotype threat was relevant when discovered in 1997 and for a decade thereafter, recent research has been unable to replicate the threat and it might no longer be relevant. My son was deeply disturbed by the loneliness and sense of not belonging generated by the entire experience: he has never experienced test anxiety, but now his white classmates think he might; and they didn’t even get to hear that maybe it’s no longer a thing. When trying to culturally connect, keep in mind that Blacks belong to numerous socio-economic subgroups. Before using a popular hip-hop term, give your students a survey; you might be surprised to learn you have Queen fans. Don’t comment on a cultural topic that you know little to nothing about; tell your students you plan to look in to it. Then follow through and follow up—they will respect you for it. An African American male teacher of gifted math students recognizes it’s inevitable that cultural mistakes will occur with underrepresented gifted students. When it happens to him, the key he reports, is to address the mistake head-on: apologize quickly and unequivocally. Don’t beat around the bush by testing the waters to see if offense was taken. If you screwed up, just admit it: “Sorry. I was having a bad day. I wasn’t quite on my game. I didn’t do enough research. I should have looked further into the situation before addressing it.” And if the mistake was public, the apology should be too. He reports that for underrepresented students, respect is a big thing. If you lose it because you made a public mistake, the fix must be commensurate with the error. A private apology just won’t cut it. My gifted son’s first passions were math and coding where he breezed past his talented white and Asian American counterparts. Before we found The Grayson School, instead of being provided accelerated instruction, he was relegated to peer teaching which dampened his enthusiasm. Since then, I’ve had to convince each new math and coding teacher of the need to challenge him. In this effort, I’ve found myself explaining that my son’s great-grandfather rebuilt computers for fun; my son’s grandfather excelled in math right up to when a middle school math teacher offered to pass him with a C if he never returned to class; my son’s uncle is a math teacher of gifted students; I took honors math and considered majoring in computer science. But often, half the year is wasted before they recognize the full extent of what my son does in math and coding when inspired. Worrell and Dixson recommend what I instinctively knew: Because these students are more susceptible to teacher expectation effects (Worrell & Dixson, 2018; Jussim & Harber, 2005), gifted teachers need to communicate high expectations to underrepresented students (Worrell & Dixson). Worrell reports that teachers should “be aware that youth from diverse backgrounds may be particularly sensitive to teacher talk and behaviors that suggest lowered expectations.” (Worrell, 2015). Provide these students with “wise feedback,” a form of feedback that: (a) invokes high standards, and (b) assures the student that the teacher believes they can meet the standards. (Worrell & Dixson, 2018). At The Grayson School, I have seen early passions rekindled as my son considers various programs to learn app coding and passionately describes when he was the only student in his school one day who solved the second stage of The Pancake Challenge (mathematicians have yet to solve a later stage). Worrell explains that “teachers may need to work with gaining the trust of youth from diverse backgrounds before these youth are willing to showcase their talents.” (Worrell, 2015). One way to try to gain this trust relates back to cultural relevance: Throughout the year try highlighting contributions by underrepresented groups. A quick google search provides links to “Famous black Mathematicians Whom the World Can’t Thank Enough,” “10 Black Women in Computer Science who are Changing the World,” and “15 Famous Black Scientists.” Try bringing in professors and graduate/college students from underrepresented groups to convey their passions in these areas. Successful role models and mentors from underrepresented groups can counter manufactured disinterest and stereotypes. (Worrell & Dixson, 2018). Worrell and Dixson recommend that educators consider the belief systems of their underrepresented students. The belief system for many African Americans is that 50 years of affirmative action was the equivalent of placing a band-aid on a gunshot wound to address the comparatively recent ending of 500 years of physical, emotional and psychological torture. Jim Crow ended officially (but not unofficially) in 1968. We are still trying to recover from 400 years of race-based slavery (where African Americans were beaten and killed for trying to read and write) and 100 years of Jim Crow (where African Americans were beaten and killed for trying to rise above their station). We are survivors of trauma. These 500 years of tortured existence also harmed whites: it ingrained self-replicating intrinsic biases that plague even the most conscientious and caring, and established unearned white privileges that most don’t know they are experiencing . . . like the privilege of belonging. Many African Americans believe the fact that today’s whites didn’t create this problem is insignificant: the legacy persists. Disproportionately punished for school offenses in current times (Gregory, Skiba & Mediratta, 2017), many minority and disadvantaged groups just don’t trust that the education system will fairly reward their hard work. (McWhorter, 2001; Ogbu & Simons, 1998). 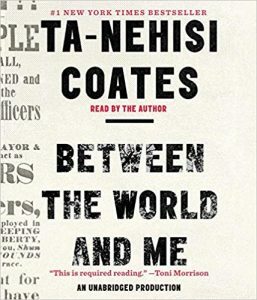 In Between the World and Me, Ta-Nehisi Coates describes the brain power and energy blacks sacrifice under the weight of not belonging. Written as a letter to his adolescent son, Coates discloses his most intimate parental concerns and offers a powerful new framework for understanding what it’s like to inhabit a black body. There is an inescapable robbery of time because we can never recover the moments we spend readying the mask, or readying ourselves to navigate microaggressions. The need to always be on guard takes up an unmeasured expenditure of thought and energy: “A siphoning of the essence.” (p. 91). We fear “not just the violence in this world but the rules designed to protect you from it, the rules that would have you contort your body to address the block, contort again to be taken seriously by colleagues and contort again so as not to give the police a reason.” (p.90). These belief systems can impact your relationships with black students and parents. In addition to the amazing education that my exceptionally gifted African American son has received for four years, The Grayson School has actively supported and encouraged my son’s quest to shape his ethnic and racial identity. Like many parents who come from traditional schools, I was initially skeptical of their nontraditional curriculum. What was invaluable in gaining my trust as an African American parent was my accessibility to the school founder who repeatedly and clearly stated how important it was to her to keep my son enrolled. During the first two years, I struggled with whether the financial commitment was worth it: after all, we pay taxes to an excellent school district. But the founder was relentless in reaffirming my son’s importance to the school. This, more than anything, kept me onboard long enough to see the amazing results that attending The Grayson School has produced in my son. Despite my anxiety, introversion and general discomfort arising from a lifetime of micro-aggressions, I dedicate time to active school participation and interaction because the school founder has genuinely made me feel like we belong. Worrell suggests that parents of adolescents from diverse backgrounds try to promote “dual identities” by emphasizing their family’s cultural background, while also communicating that these youth are legitimate members of the larger society. (Worrell, 2015). A study suggests that students with dual identities (a strong sense of belonging to both one’s ethnic group and mainstream culture) are higher achievers than those with single identities. (Oyserman, Kemmelmeier, Fryberg, Brosh & Hart-Johnson, 2003). Parents should be sensitive to their adolescent’s identity struggles and work actively and in partnership with educators to reconcile conflicts that arise between sociocultural and academic identities. As enrollment increased from 12 to 90, The Grayson School brought in an academic dean. There have been only a handful of white women with whom I’ve felt 100% at ease in discussing black issues; She is one of them. Her cultural competency is extraordinary. Because I have been able to culturally connect with the academic dean, together she and I have navigated the occasional classroom or peer cultural challenge. When I sit in a room with her, I feel like I belong. The need to create dual identities by implanting the feeling of belonging in our gifted black children cannot be over-emphasized. Two Stanford psychology professors, Gregory Walton and Geoffrey Cohen, tested this proposition among college freshmen — and show outcomes that close equity gaps in achievement and health. I often think about an African American CPA, a formerly exceptionally gifted student, who worked for an accounting firm for eight years. He completed elementary school in the second grade and spent his remaining three years bored. When he began middle school, he learned that if he took an A- instead of an A+ and kept his mouth shut, his peers wouldn’t hate him as much. By high school, he learned alcohol and marijuana helped. Each day after leaving his job, when he pulled onto the street where he lived, he would begin to fully breathe again. He was the only African American CPA at his level in a multinational accounting firm with no African American partners; his breathing shallowed every day on his way to work where he had no sense of belonging. He stayed because his colleagues established a pool identifying him as someone who wouldn’t last a year. After eight years, tired, he relinquished his career as a CPA. I began elementary school as a happy extravert scoring the highest in my class until a move brought us to a school district where white use of the “N” word occurred daily. Hurt and confused, I disengaged from academics for five years despite parental anger over poor grades. Another move returned us to my original school district in the ninth grade. I reengaged, obtained mostly A’s, took honors courses at a college preparatory high school, and graduated at the top of my class. Despite excellent grades at a top five college and a law degree from a top five law school, I never fully shook those missing five years. Soon, I will step down from my specialized field of federal capital habeas corpus law dominated by white men: few African Americans make it past the third year, but I will have done it for seventeen. A thread of anxiety permeates my interactions with even the most progressive white strangers and acquaintances. A dedicated part of my brain siphons energy to filter micro-aggressions which reinforce my lack of belonging. These micro-aggressions reside in a dark room permeated with sadness and loss kept barricaded by a survivor, not a victim. My dream is that my son will never need such a room. There are more articles on The Power of Belonging on Hoagies’ Gifted Blog Hop.